As someone who grew up in the 60s and 70s, I consumed a lot of sugar. I mean A LOT. Kool-Aid, Popsicles, Shasta pop, ice cream, breakfast cereal, and every Hostess snack from Twinkies to Ding Dongs (perhaps the best product name ever!). Sugar and salt balanced endless dinners of casseroles and salads with mayonnaise. It was a great childhood. The sugar feeding frenzy wouldn’t have been complete without packaged cookies. My mother called the shots when it came to cookies, which meant she bought store or off-brand cookies most of the time. But occasionally, she would splurge for the name brand. And, like every kid, I loved Oreos best. 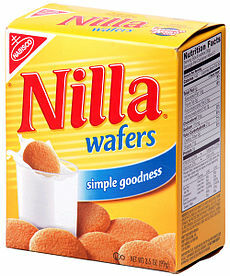 My parents would gladly eat sugar wafers or ginger snaps. Not us kids. We fought for Oreos. Would settle for Fig Newtons. And cried and pouted if given a Nilla Wafer (unless drenched in banana pudding). This experience gave me a solid foundation for judging things. As an adult I can rate just about everything on a cookie scale. For brevity, I’ll limit it to Oreos, Fig Newtons, and Nilla Wafers, but be assured that the “science” behind my methodology includes Frosted Animal Cookies, Pepperidge Farms (as a collective group), Girl Scout Thin Mints, and Chips Ahoy. And, while I love peanut butter cookies, no prepackaged cookies can ever compare to homemade ones. That’s just a fact. Now, when it comes to trade show exhibits, specifically 10 and 20 ft. inline displays, categorizing them has never been an issue. There are pop-ups, hybrids, modular laminate, custom, and basic tube and pillowcase graphic displays. But those labels are just labels, and not practical, oh-so satisfying cookie evaluations. If you notice these inlines, it’s usually for all wrong reasons — fuzzy graphics, broken hardware, or a general “vanilla” appearance. In addition, they’re bland in design and accessories. No monitor, shelves, pedestals, storage. No tablet stand, computer, or lightbox. It’s a tradeshow display in the same way a Nilla Vanilla is a cookie. Basic, unassuming, aesthetically similar to every other opening price point display. It got you there, but no one’s going to assume you’re a Fortune 1000 company. You either love Fig Newtons or you don’t. There’s no in-between. The equivalent inline has the same characteristics. Attendees are drawn to it because it takes design risks. There may be curves, headers, accessories, and a creative counter with storage. The graphics are layered with a mix of fabric and direct prints. Fig Newton displays often come in a variety of “visual flavors,” each with slightly different creative variation. 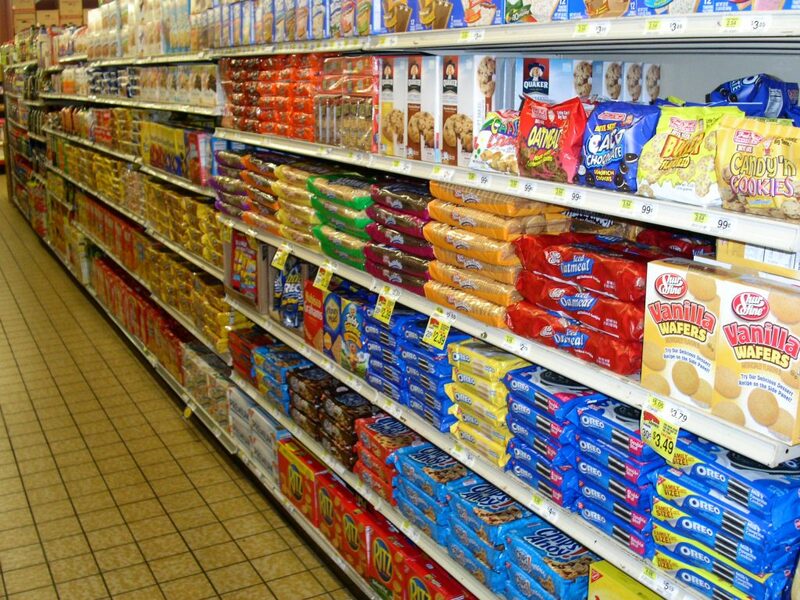 You’ll never mistake a Fig Newton display for a Nilla Wafer one. And while you may not always like everything about it, attendees notice it on the show floor. Which is what exhibitors want. Oreos are the cookie equivalent of royalty. 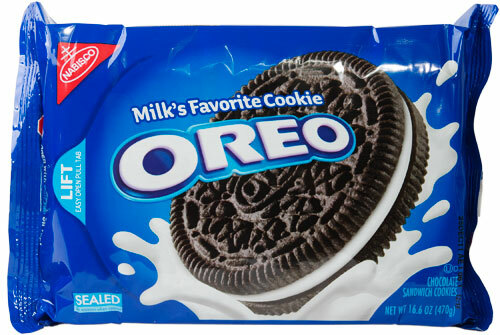 The traditional Oreo is the king, then there are Oreo queens, dukes, counts, princesses, and barons. They rule in a 20th century sort of way. No real power. Just a commanding presence that demands respect. You’ve seen these 10 and 20 ft. inlines on the show floor. The booth is beautiful. The graphics are spectacular. The design, the aesthetics, and the function are seamless. You approach it, mesmerized by its allure. You find yourself lingering. Need water. It’s there. A freshly baked cookie? They have a tray of chocolate chip. The product video is captivating. The lead retrieval questions never seem threatening or intrusive. You understand what they do, and yet, you still want to know more. It’s not that the exhibit is expensive. It’s that the design is flawless, and the booth staff is attentive, knowledgeable, and professional. It’s that perfect display “cookie” which always satisfies and can be tailored to your trade show tastes. You have a choice in inline displays. Just as you do with cookies. But unlike cookies, when it comes to a trade show display, you are not choosing what you want but what others want. How do you want to attract attendees? How do you want to be perceived? And lest you think it’s all about price, it’s not. Well-designed inline displays come in all price points. And well-trained booth staffers are priceless. If that seems intimidating or overwhelming, then never fear. Find an exhibit house with an established history of success and grab securely on their coattails. They understand trade show displays. And possibly cookies. This entry was posted on Monday, September 12th, 2016 at 3:33 pm and is filed under Classic Exhibit Systems, Mel White, Trade Show Marketing. You can follow any responses to this entry through the RSS 2.0 feed. You can leave a response, or trackback from your own site.